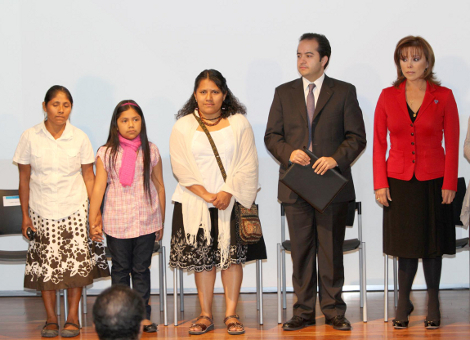 A year and four months late, Alejandro Poiré, secretary of Governance, offered a public apology in the name of the Mexican State to the Guerrero indigenous woman Valentina Rosendo Cantú, in an act of recognition of its international responsibility in the violation of her humans rights and lack of adequate attention in observing the points outlined in a sentence of the Inter-American Court on Human Rights (IACHR). The act was held in Mexico City in the presence of social and human-rights organizations. This entry was posted on Wednesday, December 21st, 2011 at 2:52 pm and is filed under Guerrero, Human Rights, Human Rights Defenders, Indigenous people, Justice system, Mexico, Women. You can follow any responses to this entry through the RSS 2.0 feed. You can leave a response, or trackback from your own site.